What Is Super Affiliate Machine about? Is it A Scam or Legit? For many people who want an online business to supplement their main income, time and effort are always going to be at a premium. They need something easy. So they want to build a website in a short amount of time. Then they want that site to be successful as quickly as possible. Experts will tell you that these goals aren’t really realistic. But here’s Super Affiliate Machine that’s saying otherwise. It’s a program that automates the entire process, so you don’t waste too much time and effort. What Is Super Affiliate Machine and How Does It Work? Super Affiliate Machine is a program that helps you build a niche website with built-in SEO. So your 2 goals are covered, right? It gives you pointers on web hosting, and then you use it to install your WordPress website. The Super Affiliate Machine (or SAM for short) manages your WordPress site within the program dashboard. That makes it more convenient for you if you’re managing lots of WordPress sites that are providing you with passive income. When this was first launched, the price was quite reasonable at $47. But that price isn’t available anymore. It will cost you $147 if you want to use it to manage 3 WordPress sites. If you want to manage more than that (and you probably will since this will save you lots of time), you’ll need to spend $197. Who Is the Super Affiliate Machine For? This is for busy people who really don’t have the time to properly create and grow a website business. The old-fashioned way is to first learn what you need to do to build a website step by step, and then with the right tools and strategies you can eventually make the site successful. Now with the Super Affiliate Machine you have lots of shortcuts. SO this is great for you is you just have an hour or so to devote to your website each day. It’s also designed for people who want to start the business right now. The Super Affiliate Machine program is really a combination of many different tools that website creators need to get going. Now you just have them in a tidy little package. It helps you choose a domain name. There’s an emphasis on expired domains. It helps you get started finding the right niche. You can use it to find the right keywords to focus on for your niche. It shows you the various keyword phrases that are easier to rank highly for. It also helps with the WordPress setup. The use of the SAM software makes the process much easier and less complicated. It helps you build your site. It also gets various images online which you can use for your own site. It also links to various relevant YouTube videos. Even the content of your site can come from SAM. You just select the keywords, and then you get spun articles. These are re-written articles of other articles online. It also features various SEO capabilities. It can perform an SEO audit so you can find out how your site can rank more highly on Google. It also checks your SEO rankings so you can better monitor your progress. Everything sounds good so far, right? The problem is that the end results are generally horrifically bad. (+) Of course, you have to give them points for how they can actually help you build a site in a few minutes. That’s actually true. It’s not a special capability by any means, but at least they’re not lying about that. (-) What’s not true is the claim that you’ll end up with successful websites. Success means you know your way around Internet marketing, and it basically doesn’t help in that regard. All it offers are some vague SEO features, and some of these features are downright scarily bad for your website. (-) Take the issue of spun articles. These are articles where the sentences have been rearranged and some of the words have been replaced by synonyms. (-) The end results of such changes are comically unreadable. They’re lifeless pieces of text, and any reader will quickly conclude that either it was done by a machine or by a seriously bad writer who has English as their second language. It’s unprofessional. Google doesn’t like these articles either. That means your SEO isn’t going to be great, and there’s always the chance you’ll be penalized for your unoriginal content. The Super Affiliate Machine program is absolutely not recommended, and it merits a mere 3/10 rating. That rating does take into account how quickly it can make a website and how you can manage your various WordPress sites more conveniently. But it’s not really a good program at all if you actually want to earn something from your websites. You’ll just pay too much money for something that doesn’t work. So do yourself a favor and bypass the Super Affiliate Machine program for something else. The alternative is to do it the right way—you have to learn properly. That means paying for an affordable educational course that teaches you what you need to know about creating and managing a successful website. 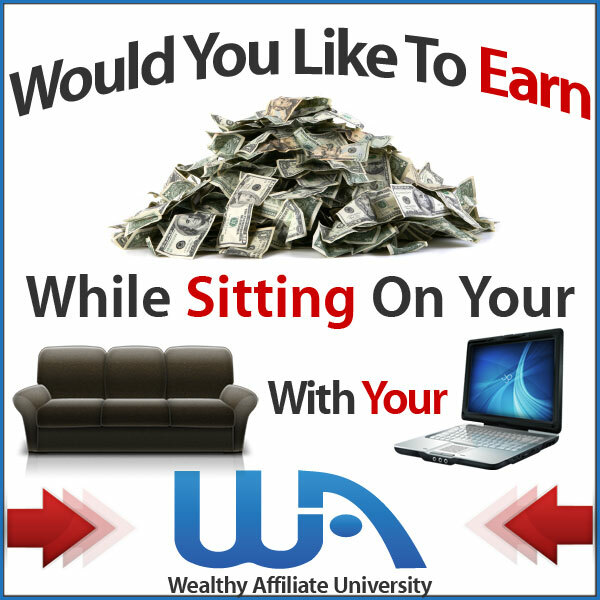 You can try out Wealthy Affiliate, and affiliate marketing will become easier for you. That means you have to take a bit more time to make your site, but with the knowledge you’ve gained, you stand to profit more from your site. With WA, you also get free websites that you can customize and free tools for keyword research. But you also receive proper SEO instruction that doesn’t include spun articles. You get updated info, various modules for different aspects (including marketing), a lively forum where you can get answers, and even private coaching. Do you have any though that wanted to share with us here? Do you have any experience towards SAM? If yes, please feel free to share with us by leaving your comment below. Last but not least, I am glad that you spend time reading this and do feel free to reach out to me if you need a hand from me in your online journey. I am more willing to help. Of course, if you found this review useful, do me a favor by sharing this post to your network. Hi there. I am so glad you gave this biz op a score of 3/10. That is all it really deserves, or maybe even less. The reason I say this is because I know a bit about affiliate marketing and SEO techniques after working in this field for 4 years. What this program is doing is preying on the vulnerable newbies. You don’t know what you don’t know and these guys know that you don’t know and they are trying to tell you it will all work for you like magic. you must start somewhere. You must learn the language and the methods and the technology of internet if you want to make money online. Newbies need a real and genuine education opportunity that will walk them through the steps to learn how to earn online. Thanks for alerting the unsuspecting of this scam. No problem at all Janelle, I think most of us wanted to success in our business. That’s why this type of crap like SAM trying to cons money from newbies. I really hope this review can reach out to more people especially newbies in helping them to stay out of this crap. And found the genuine program that works for them. Really nice review you have here! It is good to know which sites really work. From my point of view it already is something like a scam because in the end what it says is not true and instead you lose credibility in the eyes of Google and teades. You basicaly won’t gain anything, wouldn’t you agree? You are very right and I really didn’t agree with SAM SEO advice. It will definitely hurt your website ranking, especially for the Updated Google updates. I will urge you seriously stay out of this and go for something works like Wealthy Affiliate. This is the only #1 recommendation all the time for building my online business.